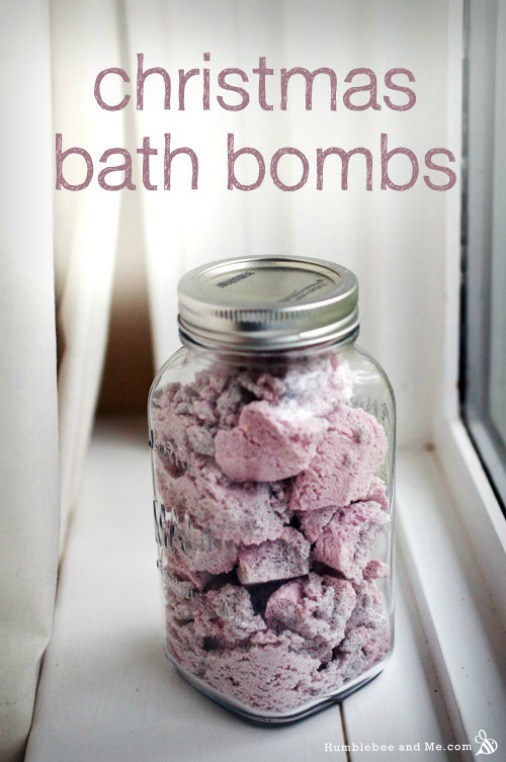 I like bath bombs because they help you to create a spa treatment at home. Warm to hot bath water, the fizzing bath bomb, the scent of essential oils, and other moisturizing oil, all combine to relax and soothe your tired, aching body. These bath bombs or fizzies are scented with a Christmas blend of fir balsam, cinnamon, orange and clove. Marie explains how to combine baking soda, and other ingredients. The tricky part is adding just enough moisture to hold the mixture together, but not too much. She shares the specific liquid she uses to moisten the dry ingredients (it’s not water) and how she applies the liquid. One thing I enjoyed about this article, is that Marie shares a photograph of a batch that didn’t quite work out. Did she throw those bath bombs away? Nope. Click the How to Make Homemade Christmas Bath Bombs link below to see how she saved the day and the batch of bath bombs.